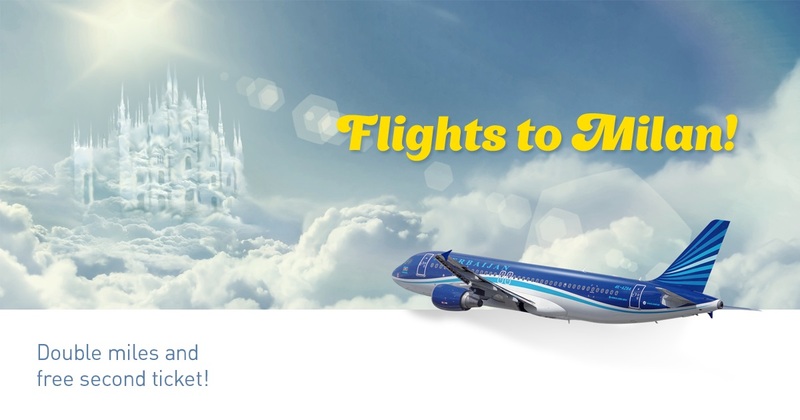 April 12 2016, Baku – Azerbaijan Airlines (AZAL) announced about the launch of a new campaign on flights between Baku and Milan, which will be operated from April 15. In the period from April 12 to June 7 while purchasing round-trip tickets on the routes Baku-Milan-Baku and Milan-Baku-Milan, the cost for the second air ticket will not be charged, except for administrative fees. Flights period: April 15 - June 7, 2016. In addition, participants of AZAL Miles frequent-flyer program, who will fly to Milan during the period of campaign, will be able to earn twice as much status and travel points. Tickets can be booked on and purchased at AZAL sales offices and official agencies.